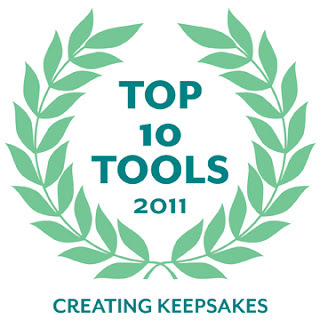 I'm excited to announce that Creating Keepsakes Magazine has named Stampin' Up's wood and clear mount rubber stamps as one of it's Top 10 Tools for 2011! While Stampin' Up has long been recognized in the stamping and crafting industry for producing high-quality rubber stamps, being recognized by the magazine is just another validation that when you choose Stampin' Up products, you are choosing the best. 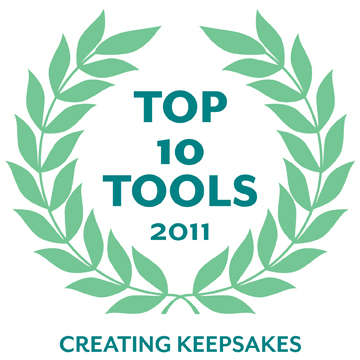 Also, Creating Keepsakes is having a "Must Have Tools Sweepstakes." I entered to win & you can too! Hurry because the sweepstakes ends on October 31, 2011.